FRED’s economic resources praised in today’s New York Times! Economics is a topic full of data. What tools do you use to parse that data? And what sites or apps do you use to keep on top of the latest economic trends? Every economics writer’s best friend is named Fred. It stands for Federal Reserve Economic Data, and it’s maintained by the Fed bank in St. Louis. It allows you to use a single interface to pull, at last count, 509,000 different data series from 87 different sources of economic and financial data. A big part of the advantage is simply that once you’re familiar with the interface, which is intuitive, you don’t have to relearn the data retrieval tool for each statistical agency every time. So, for example, I write about the European economy only now and again, so I have to relearn how to use the Eurostat database every time if the data isn’t in Fred. That’s not for the faint of heart. I generally use Microsoft Excel for data analysis, which is powerful enough to do most of the stuff I know how to do on my own. That’s to say, if a project requires a bigger data set or more complex statistical techniques than Excel can handle, I probably will need help from a colleague with more advanced programming skills anyway. We were thrilled to have Katrina Stierholz from FRED and Charissa Jefferson of Cal State Northridge introduce FRED at our recent 4T Data Literacy conference. Check out the archived session here. 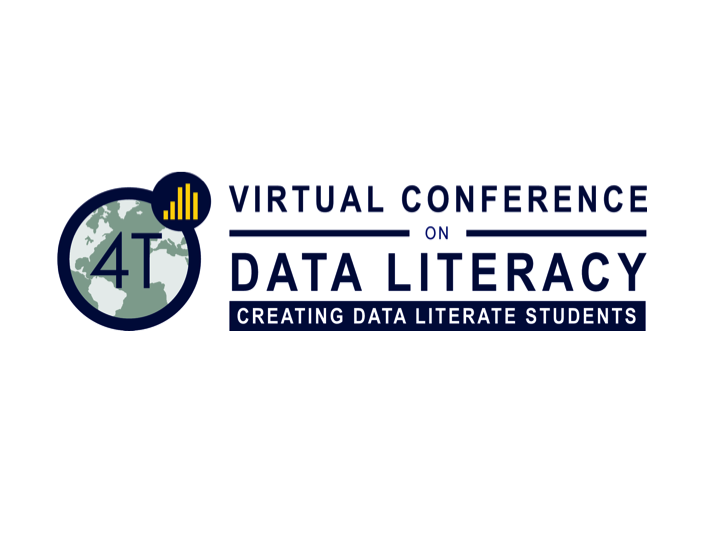 Join us — the 4T Data Literacy Conference Begins Thursday! Our project featured in School Library Journal! All of these tools can serve as the basis of a larger conversation about the role of data in public discussions, such as the way that schools use student data to make curriculum decisions or how local governments track traffic data to make decisions about signage and stoplights, and what questions students should ask when they encounter data and visualizations in their daily lives. For those who want to go even further, the University of Michigan initiative Supporting Librarians in Adding Data Literacy Skills to Information Literacy Instruction has brought together a group of data and curriculum design experts to create professional development resources for librarians. Under the guidance of Fontichiaro and Oehrli, this team hosted a free virtual conference in the summer of 2016, and they are preparing for a second one scheduled for July 20–21 2017. The team has also written two books due out this fall, Creating Data Literate Students, which collects chapters by the curriculum experts on teaching data literacy in the classroom, and Data Literacy in the Real World: Conversations and Case Studies (both Maize Books), which will collect approximately 40 case studies about data literacy. The duo is also presenting a poster about their work, “Real Strategies to Address Fake News: Librarians, Data Literacy, and the Post-Truth World,” at the 2017 ALA Annual Conference this month. The overarching message from all and other data initiatives? Don’t be scared by it. The goal is that “high school librarians will start to feel comfortable talking about data literacy issues with their students and fellow teachers,” Oehrli says. You can read the entire article here. By the way, you can catch Catherine and Sam’s presentation on the easy-to-use data analysis tools at http://databasic.io if you tune into the closing keynote of the 4T Data Literacy Conference on Friday, July 21. Check out the schedule and register here! Interested in how to combat Fake News? Check out Library Journal’s upcoming workshop series June 6 – 20, featuring our project team member Angie Oehrli! Libraries are one of the few institutions that most Americans still trust. In polarized times, they can serve as nonpartisan, non-judgmental sources of accurate information—and, just as important, help users learn to evaluate the information they encounter every day. Claims of “fake news” have vaulted once-dry information literacy into the spotlight. To seize the teachable moment, this online course will offer up-to-date tools and effective tactics to enable patrons to critically assess sources, facts, and context. Over the course of three weeks, participants will listen in on live keynote sessions and receive personal attention and resources from a dedicated advisor in an online coaching environment. Participate in online discussion groups, where you can share and gather resources and best practices and with peers from across the country. Learn more here and register here. Registration is Open for the July 20-21 virtual conference! Registration and more details will be forthcoming soon. If you registered last year, you’re already on our list and will let you know when it’s time to sign up! Numerical estimates, such as ballpark figures or “guesstimations,” abound in school, work, and our lives. For example, you can roughly calculate the impact of shopping with a reusable grocery bag, instead of using plastic bags, for a year. But how can anyone know that? How do we make sense of “guesstimations?” Are they even grounded in good mathematical principles? Our team member Connie Williams shared a video of a talk by Dr. Lawrence Weinstein, a professor at Old Dominion University. In his lecture, “Guesstimating the Environment,” he points out that “guesstimations” are inherently imprecise. He covers the use of “guesstimations” in topics ranging from ethanol to windmills and considers issues by calculating estimates. While “guesstimations” are imprecise, they do provide a way to understand the scope of a problem. What purposes do “guesstimations” serve? Is this a lot or a little? It can be hard to know if a “guesstimations” is big or small. Consequently, Dr. Weinstein emphasizes the need to compare the numbers to something else. A comparison is a great way to make sense of numbers, whether they are estimates, actual counts, probabilities, or statistics. When creating or evaluating “guesstimations,” a helpful rule of thumb is to find something with which to compare it or help to put it in context. In the grocery bag example, he explains how to compare a person’s annual use of plastic bags to gasoline burned by driving her car. It turns out that the amount of plastic bags that an individual uses is insignificant compared to how much gas that her car burns. The lecture contains many more examples like this — have a look! Image: “Bags Plastic Shopping Household Colorful Sunny” by BRRT, on Pixabay. CC0 Public Domain. I attended multiple sessions, on topics ranging from an introduction to data literacy, to data literacy in the content areas, to action research in the classroom. For this conference, I was most looking forward to the sessions about data visualization and infographics, though. I’ve dabbled with making infographics and have always wanted to have students create them, but I was never sure how to go about doing that, because I didn’t feel that I had a design background. As the presenters were speaking, something that one of them said really struck me: think of an infographic like an argumentative essay. The infographic itself is the overall argument. The images, design, and information are the evidence and reasons. Thinking about infographics in this way was like a light bulb going off in my head. Writing arguments with supporting evidence is something students are well versed in, and moving from a traditional essay to a different argumentative form seemed like a great next step. Thanks for the feedback, Jianna! You can read more of her reflection here. A well-made infographic can be an efficient, compelling, and impactful medium for communication. But making a good one can be tougher than it looks. Attendees at the two-part infographics session gave it high marks. Hosted by Susan Smith, Connie Williams, and Debbie Abilock, the session provided insight into how we can guide students into deeper reading of infographics as well as construction of new infographics. We’ve added Connie and Debbie’s article, “Recipe For an Infographic,” to the Schedule page. You can also find session-related links below. © 2015 - 2019 Regents of the University of Michigan and made available under Creative Commons Attribution-NonCommercial-ShareAlike license unless otherwise stated. This project was made possible in part by the Institute of​ ​Museum and Library Services RE-00-15-0113-15.